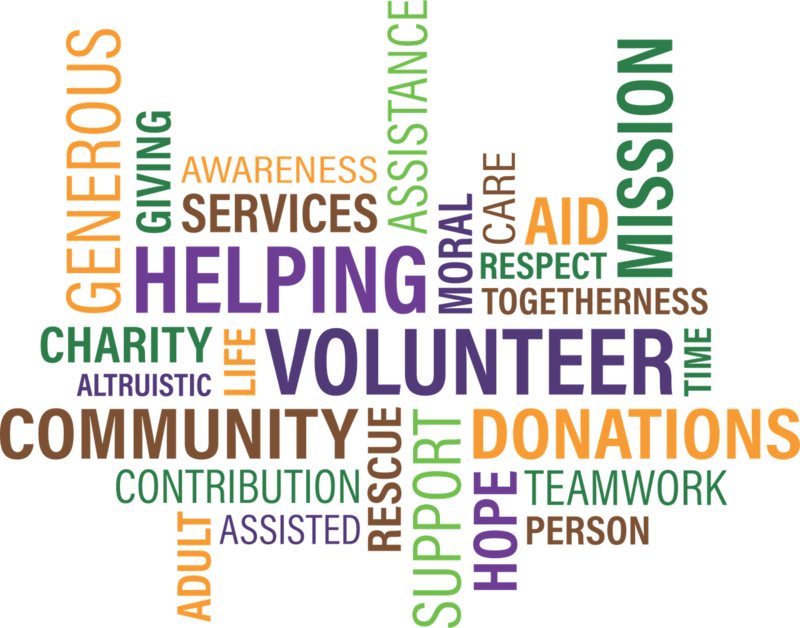 Why Choose to be a Hospice Palliative Care Volunteer? "Because it's fun," says Mary Jane. Mary Jane comes from a family with a long history of volunteering and spent her working life in community agencies where she was inspired by the contribution of volunteers. "I may be retired from work now," she says, "but I'm not retired from life." Mary Jane chairs the development committee, and is involved in many aspects of her provincial hospice palliative care association's fundraising activities. "When you volunteer, you choose a particular job because you like doing it, and it really is true that you get more out of it than you give." "Because I know there's a real need for listening support for ill and grieving people and their families in the community," says Joan. Volunteer Joan spends a morning each week in the office offering telephone bereavement support and helps to organize annual memorial services. Joan stresses that the continuing education she receives helps her to reach out to people, not just for her volunteer work but also in her daily life. Whether you're a front-line volunteer caring for someone at the bedside, or involved behind the scenes with a local hospice palliative care organization there's something for everyone. Every year the Hospice Society of Camrose & District offers a training program that is open to the public. You are welcome to participate, whether you choose to become a volunteer or not, however, first seats are reserved for those intending to complete volunteer registration. Those choosing to become registered volunteers will be interviewed, asked to supply references, and to provide a criminal record check. Training occurs on via online modules, several evening modules through the year, and one full weekend intensive. Hospice Society of Camrose & District volunteers are known for their compassion, integrity, and skilled care. 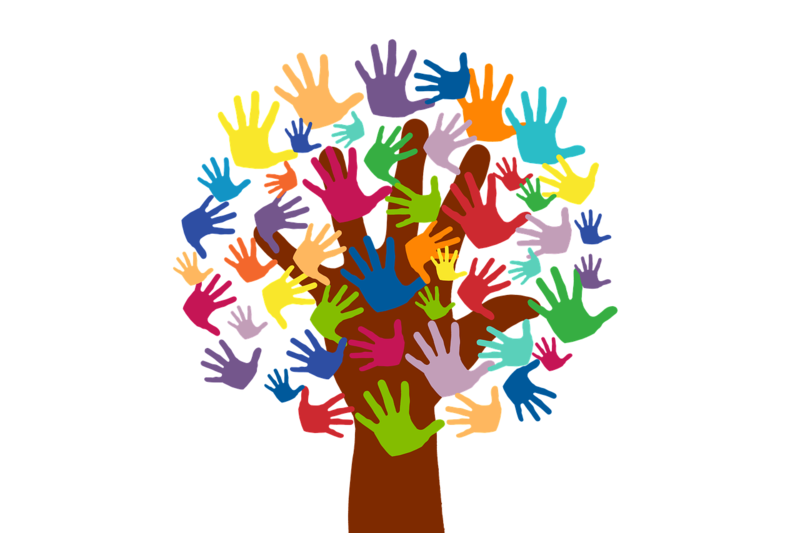 To maintain high quality in our volunteer program, attention to volunteer intake, training, and support are key. 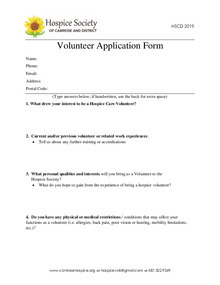 Meet with the Volunteer Coordinator for an individual placement interview. Please download the PDF (here) or the Word Doc (below) of our Volunteer Application Form. You may complete the form and email it as an attachment, or bring in a hard copy to our office at 5415-49 ave (lower level, south side). Note: Be sure to click "Enable Editing" at the top of the document after it is downloaded.